Update: Yisroel Brody on Friday filed at least the 24th class action complaint against Apple in a New York district court. It's nauseating to realize how many people here said it DIDN'T HAPPEN! Countless people and posts screaming that Apple was being needlessly burned at the stake for something that literally WAS NOT HAPPENING... Yet, surprise, surprise, it was!! I think Apple even denied it at one point - surprise, surprise, they lied! Now, watch the magic of the chorus turning from it never happened to, it did happen and thank god it did! All hail TC! So those folks are all OK with their phones instantly shutting off when they open Facebook? Didn’t used to happen. They skimped on battery quality from iPhone 6 up. That's just silliness. No one is okay with a phone that is randomly shutting down, but neither are most okay with their phones being forcibly SLOWED down with absolutely no explanation to the cause. Even more, many of those people INQUIRED of Apple regarding the phone performance only to be told that there was nothing wrong. Remember VW's lawsuit about secretly altering emissions stats? Are you okay with that? What if a car company advertised a certain level of fuel performance, but as the car aged it no longer met those levels. So the next time you take your car in for an oil change, they tinker with you car and put a governor on the motor that impedes performance, but increases your mileage to their advertised standards. They don't tell you, and when you asked about a certain 'lag' as you push the accelerator, their service underwriter gets in the car, drives it, and says, "Hey, everything seems fine to me." Are you okay with that? Consumers just want honest, upfront communication, and they are due that as a paying customer. It’s interesting what Apple considers a “feature” in their products these days (i.e., under Tim Cook’s clueless leadership). Slowing down iPhones is to the point where they are lagging is a “feature.” Removing the headphone jack (which is ubiquitous) is a feature. Removing the home button (which is faster and more ergonomic than the software swipe solutions) is a feature. Removing MagSafe from the MacBook line is a feature. Removing the most commonly used ports from the MacBook line is a feature. Removing skeuomorphic visual cues (which makes learning how to use devices far easier for the elderly and many other people who are new to smartphones and computers) is a feature. I get it Apple could have been more clear about the changes they made to power management but that doesn't mean they were slowing peoples phones down get them to buy new ones. Sadly Apple deserved this. They should have used higher quality parts to ensure that the device works at least two years in a sufficient way. This is not the point about why people are upset. The vast majority of people agree that this feature is necessary. What people are upset about is the lack of transparency of when this feature exists, and is enabled. Because then, they can simply be notified that they should go replace the battery, as opposed to assuming that their phone is old and needs a $800 replacement. My experience in this? 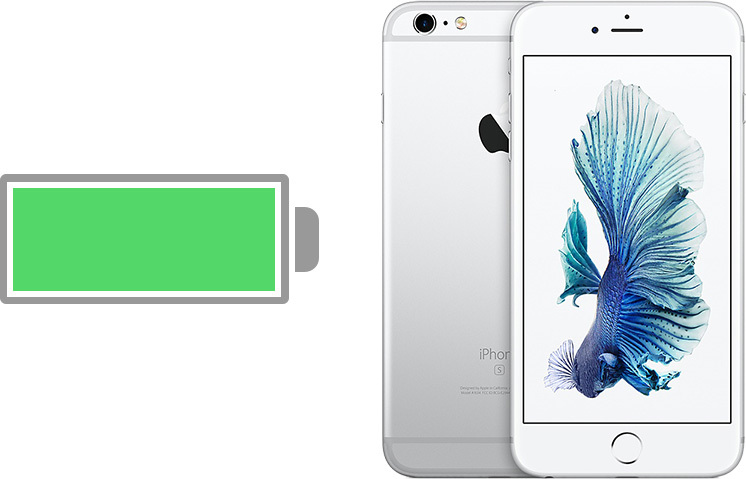 It happened to me and I replaced my battery 2 weeks ago on my iPhone 6. My performance more than doubled.